Head over to Amazon and get the Marvel Avengers Age of Ultron Iron Man Lab Attack Playset for just $8.28 (reg. $21.99). Shipping will be FREE with Amazon Prime or an order of $35 or more. Imagine your own Super Hero battles! Includes 2 figures and 4 accessories. The Avengers will put all of their powers to the test as they assemble to take on their greatest enemy: Ultron! Ultron, joined by his Sub-Ultron army, is a technological tyrant set on eliminating the human race. Can the Avengers defeat Ultron and save humanity, or has this team of heroes finally met its match? 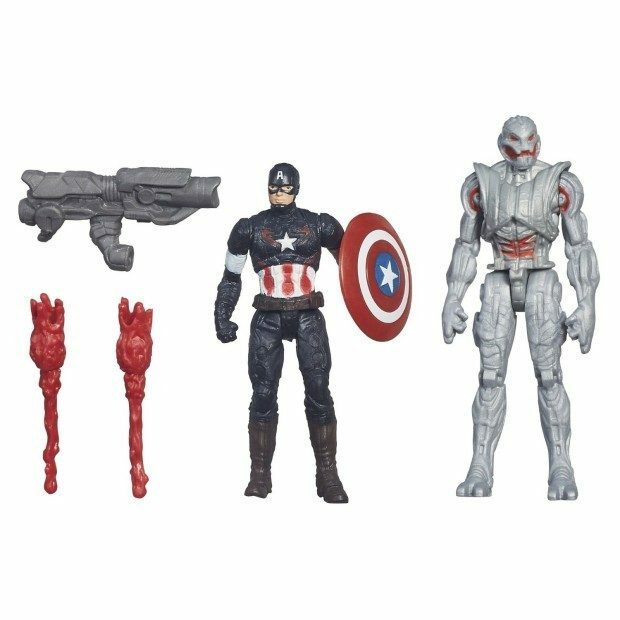 Ultimate Ultron faces off against Captain America in this pack, with each figure featuring 5-point articulation and movie-inspired details and styling.Copyright Marvel. Hasbro and all related terms are trademarks of Hasbro.